Team USA celebrating on the podium after winning the World Team Champion Trophy and Gold Medal. USA's six individual Gold Medals were enough to dethrone the reigning Team Champions Australia. For daily photos, video highlights and video news releases click here. Sayulita, Mexico, May 17, 2015 - The 2015 ISA World StandUp Paddle (SUP) and Paddleboard Championship Presented by Hotel Kupuri culminated with 27 National Delegations erupting in celebration on the beautiful beach of Sayulita, Riviera Nayarit, Mexico. Kicking off the final day of competition was the ISA Team Relay Race. Four members from each team united in the name of their country to take to the technical course alternating between SUP and Paddleboard Racing. The first team to complete the course was the dynamic Australians that earned their fourth repeat victory. Rounding out the rest of the team relay results were New Zealand in second, USA in third and Hawaii in fourth, respectively. 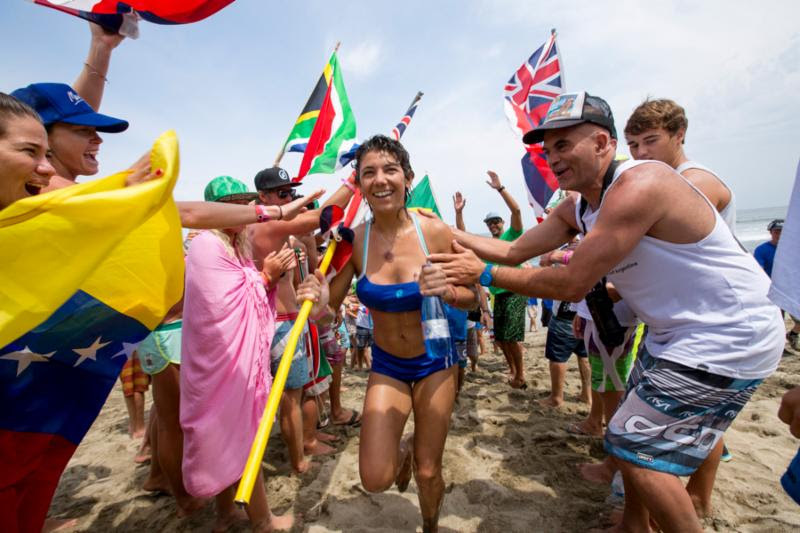 The first individual event of the day was the Women's Paddleboard Technical Race, and it was with little surprise that Australian Jordan Mercer earned the Gold Medal. Mercer is the most decorated athlete in the history of the ISA and took home Gold Medals in every discipline she competed in. "You are out there paddleboarding and all you have is your hands and your heart," said the experienced Mercer. "That's all you have to work with. So, to know the support and spirit that I have being an Australian - I go out there racing for my country... Australia is a country of pride, a country of privilege, and one that I am so honored to represent." Sayulita, Mexico, May 14, 2015 - The 2015 Men's and Women's SUP Surfing Gold Medalists will be decided Friday, May 15 as part of the ISA World StandUp Paddle and Paddleboard Championship presented by Hotel Kupuri in Sayulita, Riviera Nayarit, Mexico. Thursday's SUP Surfing competition included Main Event as well as Repechage Rounds. The Repechage Rounds featured 32 men and 17 women, giving athletes a second chance to go for Gold rather being eliminated after losing in any single round. Denmark's Casper Steinfath has been doing battle in both SUP Racing and SUP Surfing. After placing 5th in the 20Km SUP Long Distance Race on Wednesday, the Danish athlete returned to competition today but was unfortunately eliminated from SUP Surfing following two Repechage Rounds. Speaking to ISA's competition format, Steinfath commented, "The ISA's double elimination system is really unique because everyone gets to surf more than once even if you have a bad heat, like I did the other day. I think it highlights competition from all over the world giving every country a second chance, and it's fair game for everyone." "Today was about inclusion in competition. We saw 49 athletes return to the water in the Repechage Rounds, giving them a second chance to advance and remain in competition. The advancing athletes have now earned spots in tomorrow's competition, giving them the chance to continue, even if they lose one round," said ISA President Fernando Aguerre. "We have the absolute best athletes in the world here, and we want to ensure they all have an extra chance to earn a Gold Medal for their country." 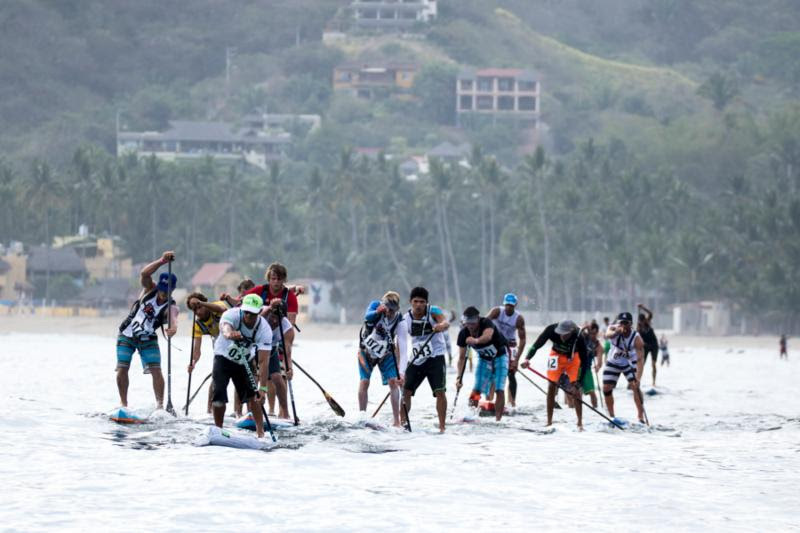 Sayulita, Mexico, May 13, 2015 - Day 3 saw dramatic Men's SUP and Paddleboard 20Km Long Distance Races at the 2015 ISA World StandUp Paddle and Paddleboard Championship (WSUPPC) Presented by Hotel Kupuri. Over 65 of the world's best SUP and Paddleboard Racers took on the exciting long distance course, paddling four loops with the colorful, coastal village of Sayulita, Riviera Nayarit, Mexico, in the backdrop. The races featured the most elite level of competition this event has witnessed. In a world-class field of competitors from every continent, the Gold Medalists and new World Champions are USA's Danny Ching and Australia's Lachie Lansdown in the SUP and Paddleboard races respectively. The SUP race was extremely close starting with 15 elite racers leading the pack for the first three laps. Sayulita local, Javier "Bicho" Jimenez, put on an incredible performance, as he was able to overtake the leader, Danny Ching (USA). Jimenez gained a lead of about 100m with the help of a wave he caught rounding the last buoy, causing the local Mexican crowd to erupt in cheers. With a heroic effort, Danny Ching, who made his first appearance in the ISA competition, broke away from the pack on the final lap to chase Mexico's impressive racer. Mid-way through the final lap, Ching caught up to Jimenez and overcame him. With precise technical turns on the final buoys, the American solidified his lead as he made his way to the finish line, earning the Gold Medal for USA. Sayulita, Mexico, May 12, 2015 - Following four laps around the 20KM course along the coastline of Sayulita, Riviera Nayarit, Mexico, the first medals and points were awarded at the 2015 ISA World StandUp Paddle and Paddleboard Championship Presented by Hotel Kupuri. Team U.S.A.'s Candice Appleby captured her first International Surfing Association (ISA) Gold Medal. Appleby also earned valuable points for the overall team ranking with the win in the Women's StandUp Paddle (SUP) Long Distance Race. Appleby's time was 1:52:54 to finish. "I always try to do my best and win, but it feels really good to be doing it for more than just myself. I got my team, my country, God, my family," said the elated Appleby. "It feels very good to have my team screaming on the beach rooting for me." On the Paddleboard side, Australian Jordan Mercer earned her fourth consecutive Gold Medal but not without a dramatic finish. Coming into the final two buoys of the course, Mercer was head-to-head with Anna Notten from Team South Africa. However, Notten, caught up in the moment, paddled straight toward beach forgetting to complete the final two buoy turns giving Mercer the 4-peat. Mercer's final time was 2:07:37, and Notten finished at 2:08:29. Posted November 12th, 2014 - News Posted for ISA News. The International Surfing Association (ISA) is proud to announce that the 2015 ISA World StandUp Paddle and Paddleboard Championship (WSUPPC) will be held in Sayulita, Mexico from May 10th to the 17th. This event will mark the first ever ISA World Championship to take place in the country. The 2015 ISA World StandUp Paddle and Paddleboard Championship will be held in Sayulita, Mexico from May 10th to the 17th, and will be the first ISA World Championship hosted in Mexico. 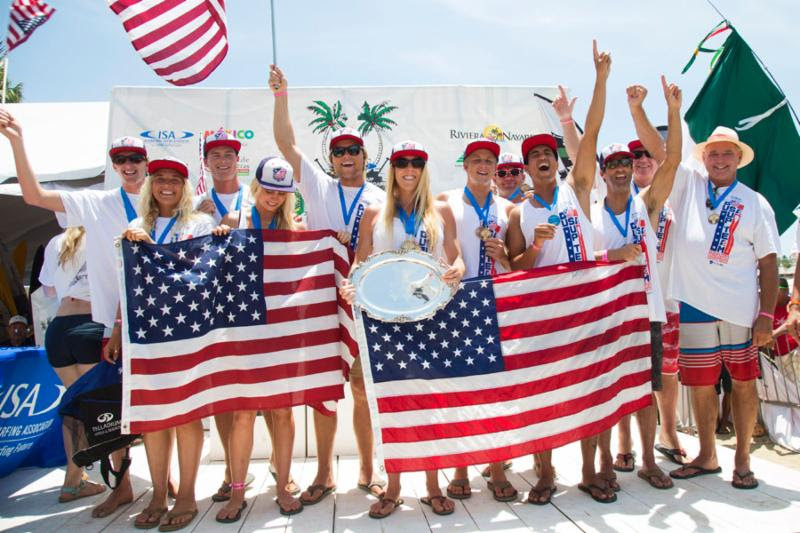 More than 300 of the world’s greatest watermen from over 30 countries will compete in 11 different disciplines and compete for the coveted Club Waikiki-Peru ISA World Team Champion Trophy and the individual Gold Medals. The 2015 ISA World SUP and Paddleboard Championship will include Men’s and Women’s SUP Surfing, SUP Technical Race, SUP Distance Race, Paddleboard Technical Race, Paddleboard Distance Race, and the Team Relay Race. The International Surfing Association (ISA) has today announced the appointment of Robert Fasulo as the organization’s new Executive Director. The 2015 ISA World Junior Champ, Leonardo Fioravanti, is making waves on the CT.
Video - Would you travel to Alaska to ride this tidal bore? Would you travel to Alaska to ride this tidal bore? "Este es un día de mucho orgullo para la ISA y espero que también para el pueblo de Costa Rica, para el gobierno, el sector privado y para la Federación de Surf de Costa Rica. Hoy oficialmente anuncio que Costa Rica ha obtenido la sede para el Mundial de Surf de la ISA 2016 en Playa Jacó". - Fernando Aguerre, Presidente International Surfing Association. It's official! Team Costa Rica will defend their title at home! How Has Surfing Created Positive Social Change In Your Country? Join the ISA in the #WhiteCard Campaign on April 6! Shirts, boardshorts, hats, one-of-a-kind prints and more! Cloudbreak y otras olas de clase mundial han sido confirmadas. Do you want to be an ISA certified surf instructor and take your surf instructing to the next level? From Canada to Brazil, see which ISA courses are coming to your region! April 2016 courses in: Austria, Belgium, Brazil, Canada, Costa Rica, Holland, Sweden, UK, and USA. What has Surfing done to create positive change in your country? There's no end in sight for Kelly Slater. Photo - ISA World Junior Bronze Medalist, Jake Marshall, getting the shot. ISA World Junior Bronze Medalist, Jake Marshall, getting the shot. Photo - 2015 VISSLA ISA World Junior Champ, Leonardo Fioravanti, feeling good about his surfing. 2015 VISSLA ISA World Junior Champ, Leonardo Fioravanti, feeling good about his surfing. Photo - The best way to start off the week. The best way to start off the week. #FlashbackFriday to the inaugural ISA World Adaptive Surfing Championship. Thanks for the support Challenged Athletes Foundation! You think your local lineup is cold? These guys and gals take it to a whole new level. Young Swedish surfers head to the water at the end of afternoon, following a night under a tent in Unstad on Saturday. Video - Leon Glatzer's air game is on point. Leon Glatzer's air game is on point.